It’s always a good idea to have your vehicle inspected when the weather’s going to get cold. You want to make sure that your cooling system is working properly, to confirm that your coolant is at the right strength and level. You don’t want that system to freeze and cause damage. You also want to make sure that your heater is working properly, before it get really cold. When you bring your vehicle to us for a pre-winter check, we will look at all of these things, including making sure that your defroster is working properly and that your tires are at the proper pressure. If you need snow tires put on, we can help you that also. 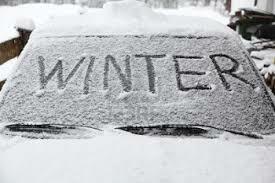 So give us a call, let’s get you in and have your vehicle inspected before the really cold weather arrives.